Allison Zmuda is an education consultant specializing in curriculum, assessment, and instruction. She works with national and international educators to design learning experiences that are relevant, meaningful, challenging, and appropriate. Previously, she served as a high school social studies teacher for eight years. Allison has authored eleven books and co-developed a series of online courses. I have read several of Allison’s books, follow her on social media, and was very excited to have a conversation with her. I learned so much about her and am honored to share her story with you. Enjoy! My husband, Tom, and I have two children, my son, Cuda, and my daughter, Zoe. We lived in a small town in Connecticut. When my son was in second grade and my daughter was in preschool going to start Kindergarten, I was looking around to what kind of public school system for my kids could have to grow. So we settled on Virginia Beach. I was doing some consulting work there for a couple of years. The level of innovation that was happening there at the time as well as the level of diversity was what we wanted. The opportunity to see what’s possible when you have a large scale school system as opposed to a regional small town system. I wanted my kids to experience a range of perspectives, points of views, diversity, and also wanted to make sure they received a high-quality education. We moved to Virginia Beach with 68,000 students, eleven high schools, and not sure how many middle schools. My kids worked through the system, and now Zoe is in 9th grade and Cuda is in 12th grade. So we’re starting to think about college and university. They really thrived in their experience there and my kids coach me on the idea of what personalized learning looks like to them. It’s interesting to see how they find joy, interests, and passions sometimes in school and sometimes in an area they are interested in. I was born in 1971. Growing up in the late 1970s and 80s, magnet schools were part of my public school experience. I went to a Science and Technology Magnet School in the late 70s where there was a planetarium at my elementary school. 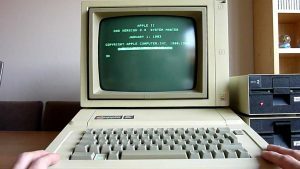 That was the first time I was on an Apple IIe where we learned turtle logo and Olympics of the Mind. The power of these experiences enriched my learning. All of these were great roots of gifted education infused into the public schools so everybody had access to it. Montclair, New Jersey has a significant amount of diversity and choice. In middle school, it was an open system with no walls and a level of flexibility and innovation. Then I moved a traditional high school program and went on to Yale University thinking about going to law school or teaching. I was in the teacher preparation starting my sophomore year and graduated with a teaching license. Tore up my LSAT scores and to jump full-fledge into teaching. I was a high school social studies teacher in Newtown, Connecticut for eight years. When I was pregnant with my first child, I was starting to figure out how I can continue to influence the thinking not just of my students by also my peers and colleagues. I had an opportunity to write an article that turned into my very first book with my teaching partner at the time, Mary Tomaino. I wanted to think of a more flexible way of working and started my consulting career at 28. I’ve been at it for close to 19 years. I think about how to grow the heart, the energy, and the joy of what teaching and learning look like feel like and sounds like. That’s been my mission from the very beginning. How we can continue to create that level of joy, passion, energy, and focus while there’s so much anxiety, stress, and worry that not only our students are demonstrating but, clearly, our teachers are as well? What’s on my mind right now is that we need to look at middle school different than high school should look like. We need to consider the social-emotional aspect of learning and how we can continue to capture energy and life as they transition from elementary to middle school. We’re trying to grow the compassion and empathy as well as cognition as part of their middle school experience. It is about these kinds of timeless experiences where we believe what we’re doing is in the best interests of the students and also grows the entire school culture. It also involves the willingness of the faculty to grow their possibilities and imaginings of what it is that they can hope for themselves and their students. When a child is interested in something, they go about it organically. It is very different than what we as educators might imagine. I asked Zoe what she wanted to do with the ukulele and she said it was a stress reliever and unwind. Every child and adult needs to figure out a way of unwinding and also giving themselves a level of energy and joy. What they want to learn is connected to motivation or purpose. Why am I doing it in the first place? Trying to grow discovery can be an action plan, something they want to do in a genius hour, or like my daughter, learning to play the ukulele. I had a stroke when I was 37. It was terrifying. I was at my daughter’s soccer field when she was in kindergarten. I tried to stand up and cheer her on and I couldn’t stand up. It turned out that I fell over and immediately an ambulance was called. At the hospital, they performed surgery. When I woke up, I was not able to speak with maybe two or three words in my vocabulary. I was also paralyzed on my right side. After 72 hours, the paralysis worked its way out, but the speech didn’t. I was conscious and my mental faculties were okay the whole time, but the ability to explain my thinking was so highly tortured. It was interesting because I had turned in to the editor the one book I had written by myself. I knew 6-8 weeks down the road that my book was going to come back to me and I would have to edit it one last time. Trying to think about how to grow my capacity to speak, to write, to communicate. The work I do as a consultant is organic and grounded in what the school or district is imagining. It’s not a canned presentation and every site is different. When I was going through rehab, one of the first persons who worked with me said that I was probably not able to work again. This was 2010. My company is just me. 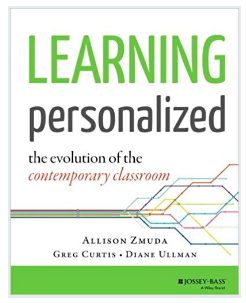 Learning Personalized grew out of how do we create a like-minded community of teachers, parents, students, and administrators around the idea of personalized learning. What are the challenges, problems that they are having? What are some of the success stories? 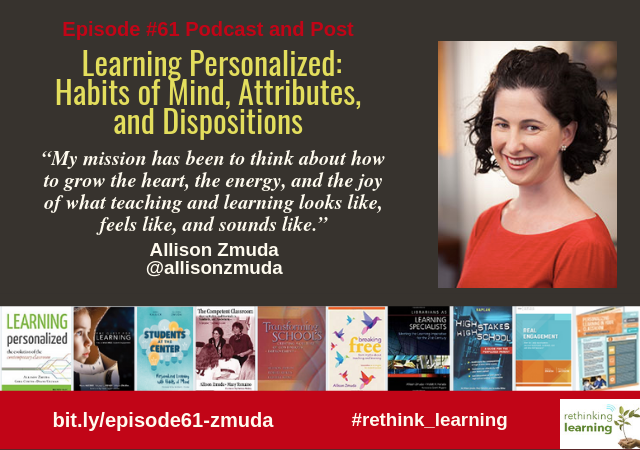 Learning Personalized was sort of an act of community to continue to grow the thinking of people in that space. As part of my consulting, educators have the ability to share their stories or something in a blog on my site. The idea is to for teachers and administrators to help us have a window into their journey even if they are uncomfortable about sharing and that level of risk-taking. You are now focusing on being an engineer, an architect, or an artist as opposed to anyone who is perfecting anything. That is the spirit of what the community is trying to do. It’s messier because children are going shoulder-to-shoulder with you on that journey. It is growing you as an educator. The secret of writing eleven books is that only one was written solely by me. One of the things that I find incredibly enriching is to think, imagine, and co-create with other authors and consultants. The interesting part about that is it is as much a thing to grow my thinking as it is something I do on behalf of a readership. It’s always a little bit selfish, in that to be in this space where you’re imagining ideas together with another author is just so enlightening. Barbara captured most of my books here. When you are starting to think about dispositions, it would be helpful to isolate an example that we agree is important. When you are thinking about goals or feedback, there are related dispositions that teachers and students need to grow into. If they are going to be able to create meaningful work and conversations around both of those areas. For example, when you start thinking about feedback, what are the most important roles from a classroom teacher’s point of view when they are providing feedback to students? 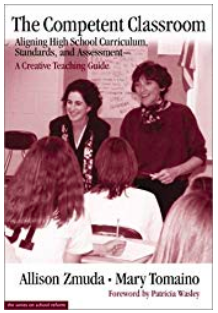 Based on my continuous collaboration with Dr.Bena Kallick with Students at the Center, feedback is as much an act of teacher’s questioning and problem posing as it is delivering information on how to improve it. Often times, we jump to guide them before we have a good understanding of what was the intention of what the students were after in the first place. From a student’s point of view, I have to be open to the idea of continuous learning. When we are engaged in rich and robust feedback, often we are looking at making it actionable and regular, but it doesn’t always get to the heart to do on behalf of the learner. We’re trying to grow students’ understanding of the value of feedback and the notion that feedback is something that is accessible from others and knowing that they are growing from their own self-analysis and improvement. Allison Zmuda is going on 17 years as a full-time education consultant specializing in curriculum, assessment, and instruction. She works with her clients to imagine learning experiences that are worthy of the pursuit for both students and educators, designing work that is relevant, meaningful, challenging, and appropriate. Since 2001, she has co-authored 10 books, her most recent being The Quest for Learning (Solution Tree), co-authored with Marie Alcock and Michael Fisher and released October 2017, and Students at the Center: Personalized Learning and Habits of Mind (ASCD) co-authored with Bena Kallick, which was released January 2017. 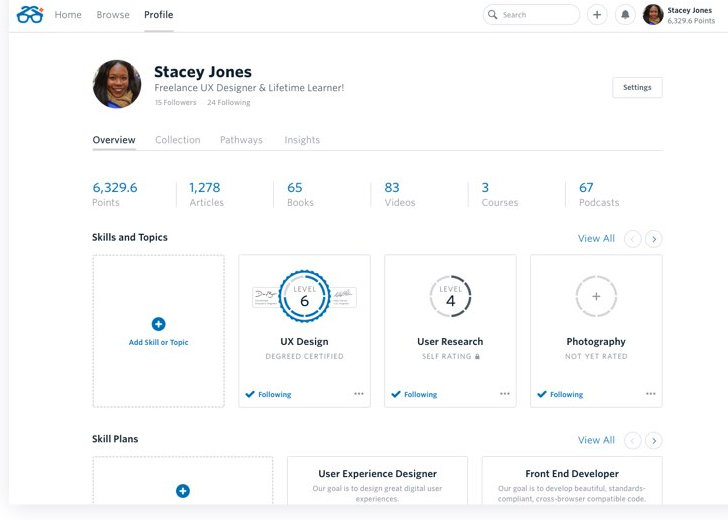 In addition to her consulting work, Allison curates learningpersonalized.com, a website community comprised of her writing and that of colleagues and other educators. 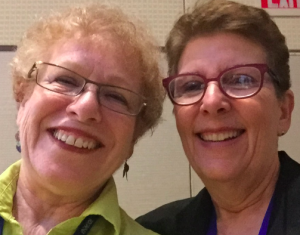 She has also developed a series of online personalized learning courses with Bena Kallick, available on Eduplanet21. Allison lives in Virginia Beach, VA with her husband and two teenage children. You can follow Allison on Twitter (@allison_zmuda), Facebook, LinkedIn, or reach her via e-mail at allison@allisonzmuda.com. Bloom’s Taxonomy was developed by Benjamin Bloom in 1956 and revised by Anderson and Krathwohl in 2001 as a framework for classifying learning based on different levels of cognitive rigor and complexity. The Depth of Knowledge (DOK) was developed in 1997 by Norman Webb, a research scientist from the Wisconsin Center for Education Research, to analyze how deep students think to answer questions and complete activities. 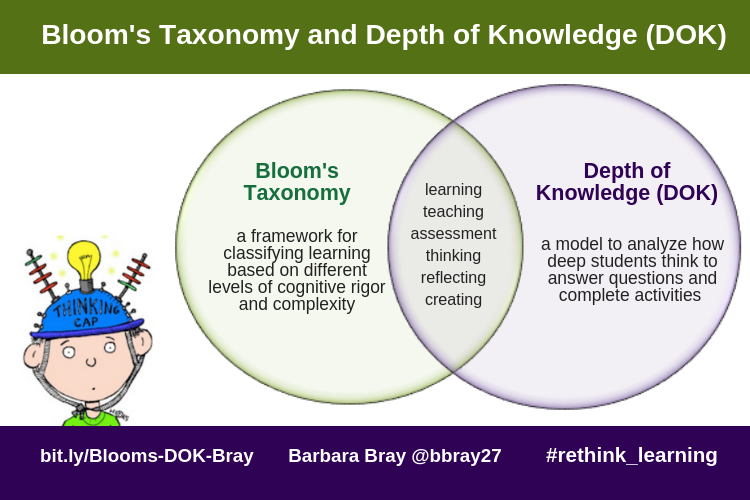 Do we use Bloom’s Taxonomy or DOK with our students or can both work together? Bloom’s Taxonomy is about classifying learning at different levels. 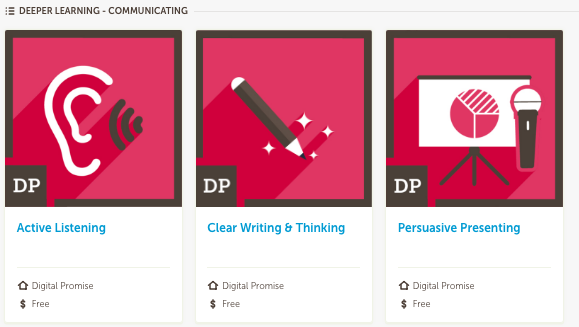 Teachers can use these levels to write learning objectives and tasks to meet those objectives. 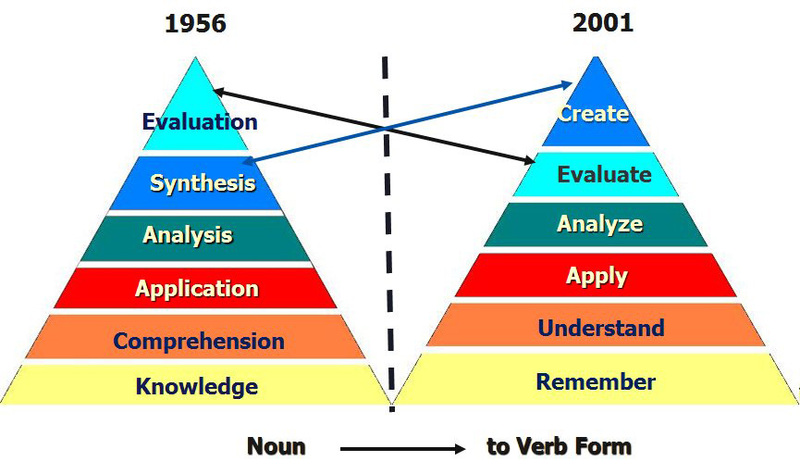 The revised Bloom’s by Anderson and Krathwohl’s Taxonomy in 2001 focuses on the verbs to classify the levels of thinking and various levels of the taxonomy. Both versions classify the levels focusing on the verbs. 1. Knowledge: Remembering or retrieving previously learned material with example verbs. Recognizing or recalling knowledge from memory. Remembering is when memory is used to produce or retrieve definitions, facts, or lists, or to recite previously learned information. 2. Comprehension: The ability to grasp or construct meaning from the material with example verbs. Construct meaning from different types of functions either as written or graphic messages or activities like interpreting, exemplifying, classifying, summarizing, inferring, comparing, or explaining. 3. Application: The ability to use learned material, or to implement material in new and concrete situations with example verbs. Carry out or use a procedure through executing, or implementing. Apply relates to or refers to situations where learned material is used through products like models, presentations, interviews or simulations. 4. Analysis: The ability to break down or distinguish the parts of material into its components so that its organizational structure may be better understood with example verbs. Break materials or concepts into parts, determine how the parts relate to one another or how they interrelate, or how the parts relate to an overall structure or purpose. When learners analyze, they can illustrate a mental function by creating spreadsheets, surveys, charts, or diagrams, or graphic representations. 5. Synthesis: The ability to put parts together to form a coherent or unique new whole with example verbs. Evaluate is about making judgments based on criteria and standards through checking and critiquing to demonstrate the processes of evaluation. The revised taxonomy puts evaluate before create to be a necessary action before one creates anything. 6. Evaluation: The ability to judge, check, and even critique the value of material for a given purpose with example verbs. 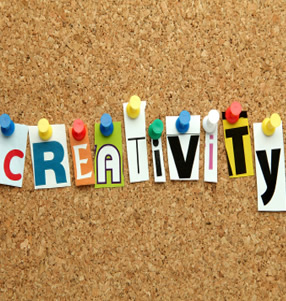 Create is about reorganizing elements into a new pattern or structure through generating, planning, or producing. Create requires users to put parts together in a new way, or synthesize parts into something new and different creating a new form or product. DOK is the degree of depth or complexity of knowledge standards and assessments require; this criterion is met if the assessment is as demanding cognitively as the expectations standards are set for students. DOK refers to the complexity of thinking skills that a task requires. what FOLLOWS the verb. What comes after the verb is more important than the verb itself. the complexity of mental processing that must occur to complete a task. verbs. The verbs are a valuable guide, but they can sometimes be used at more than one level. the difficulty of what they are learning. All levels of DOK have a place in a rigorous curriculum. Completely aligned standards and assessments require an assessment system designed to measure in some way the full range of cognitive complexity within each specified content standard. Norman Webb identified four levels for assessing the DOK of content standards and assessment items. DOK levels are not related to the score points. DOK levels are a ceiling, not a target. Why is this distinction between “ceiling” and “target” important? important information about student learning along the achievement continuum would be lost. How do you determine the DOK ceiling? The level of a DOK item is determined by the task (defined by complex thinking and reasoning skills), not grade level or the ability of the student. Therefore, the DOK of the task does not change with the grade or ability of the student. Verbs alone do not determine the DOK’s level of an assessment task. DOK’s focus is on how deeply students need to know content for a given response. Multiple-choice questions can be written at a DOK 3 or 4 level; however, to design a question in this format is difficult. 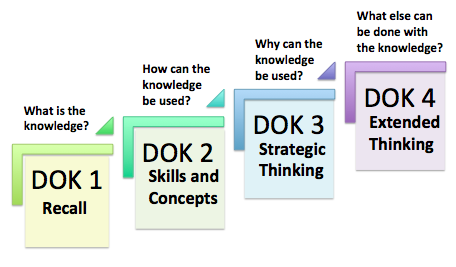 An Item at DOK level 3 or 4 requires complex reasoning, strategic and extended thinking about the concepts of the content and a real-world context, and especially at a level 4 that requires research, investigation, and application often over an extended period of time. what prior knowledge do they have about the content? do you have to review the information or can you offer multiple ways to provide the content? how do you know they understand the concepts? Will you have to repeat the information for some students while others move on? how will you measure their understanding before moving on to the next content area? do your students have the skills and dispositions to work independently and collaboratively? can they find and use the appropriate tools and resources to do research without your support? how will you know that your students have developed a plan for learning the concepts and can demonstrate the process? You can use Bloom’s as a guide for teaching and designing instruction and Depth of Knowledge as a guide for developing skills and encouraging deeper thinking and learning. teaching practice and the different needs of your learners? Webb DOK Guide: This pamphlet begins with an overview of the different levels in Webb’s taxonomy, then devotes several pages to each level. There are many suggested activities for each level of DOK which can help you develop activities in your class. 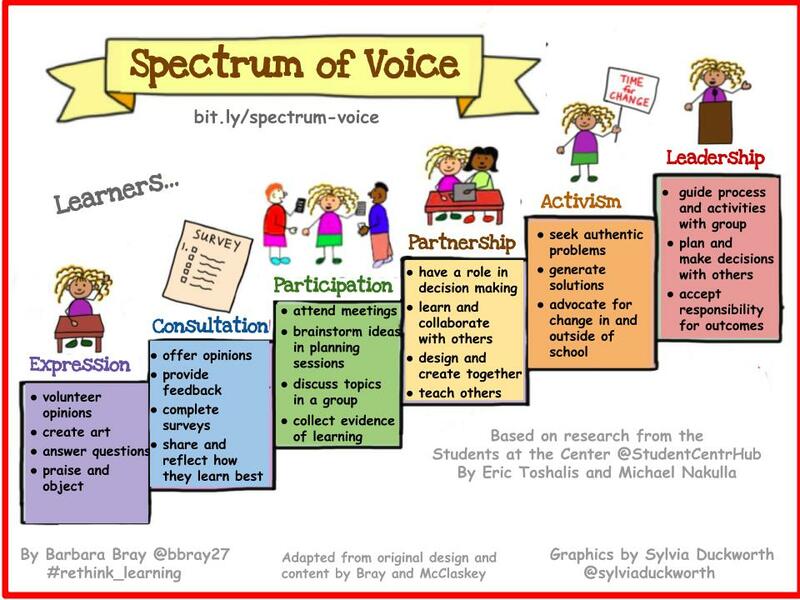 The Spectrum of Voice by Barbara Bray @bbray27 was adapted from the research “Motivation, Engagement, & Student Voice” by Toshalis & Nakkula for Students at the Center @StudentCntrHub. The content in this post that was originally developed by Bray and Kathleen McClaskey @khmmc as the Continuum of Voice* and is a new derivative developed by Bray along with new graphics by Sylvia Duckworth @sylviaduckworth. Without motivation, there is no push to learn. Without engagement, there is no way to learn. Without voice, there is no authenticity in learning. Toshalis and Nakkula explained that the spectrum of student-voice-oriented activities is where students can start articulating their perspectives as stakeholders in their learning to directing collective activities. They can move from data sources to leaders of change. The goal is for students to have a voice that moves to the partnership, activism, and leadership roles. As one moves from left to right across the spectrum, then roles, responsibilities and decision-making authority grow. Voice gives students a chance to share their opinions about something they believe in. There are so many aspects of “school” and “learning” where students have not been given the opportunity to be active participants. 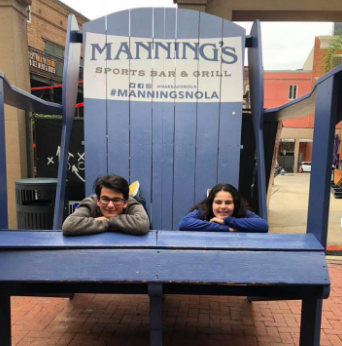 Some students, especially those that are concerned about extrinsic factors like grades, may not feel comfortable expressing their own opinions. Giving students voice encourages them to participate in and eventually to own and drive their learning. This means a complete shift from the traditional approach of teaching compliance that develops a “learned helplessness” to encouraging voice where there is authenticity in the learning. The idea of “school” is supposed to be about building relationships that develop a culture of learning. If you ask students what they think about school, you open the door to discussions about them wanting to be heard, having their teachers care about them, and about teachers really listening to what they are saying. When teachers and students engage in meaningful conversations based on real-world issues where they have a voice in decision-making, then they are building a collaborative community of learners. Dropout rates, student achievement, and workforce readiness will improve by integrating students’ voices in the classroom and in society. 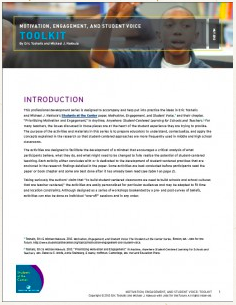 The graphics and content in this post adapt the information in the Toshalis and Nakkula’s Toolkit to address student voice and the spectrum as it pertains to how students express themselves and demonstrate what they know. Within different lessons or activities, the teacher and student roles could address any of these levels. This is the reason that this is a spectrum not a continuum of voice. A student might be in the partnership level in an after-school activity and in the expression level in a specific class because of the relationship with that teacher. I am using the term “student” in this post, but invite you to use either student or learner to best represent the ideas you believe. As the teacher introduces a lesson, they determine the students’ prior knowledge. Students may volunteer their own opinions, praise others, or possibly object to what they are asked to do. The teacher asks questions inviting students to provide the right answer. The teacher can be working at giving students more voice in different activities such as art or constructing something in a makerspace. Yet at this level, students tend to be more compliant and present a sense of learned helplessness. Students may be more interested in what their grades will be or if what they are learning will be on the test. The teacher invites students to take surveys and polls for a consensus on issues. The students consult with the teacher to share how they learn best and have conversations about their strengths, interests, and challenges. During the consultation, the teacher and student determine the most appropriate tools, resources, and learning strategies to support their learning. This is where the teacher starts developing the relationship with each student that changes as they learn. The student discusses how they plan to meet their learning goals and the best way to assess what they learned with the teacher. These conversations validate them as a learner. The teacher then designs the lesson from the feedback, surveys, and opinions to determine the best instructional strategies based on the diverse students at the extremes based on Universal Design for Learning. Students define their learning targets with the teacher, how they plan to meet learning goals and articulate how they will demonstrate mastery with evidence of learning. The student’s voice is encouraged because now they are more invested in how and what they learn. They are encouraged to attend meetings and participate by brainstorming ideas. Each student working alone or with others where they use the design thinking process around different topics either individually or in groups. They are responsible for how they design and meet their learning goals. They demonstrate evidence of their learning and their participation in a group. Students take on roles in decision making in the classroom and school, i.e. committees, clubs, student council, etc. As part of a member of a project or group, they are learning together and how to collaborate. They learn from and teach each other and designing and creating together. Students contribute to the design of lessons and projects based on their interests and questions. You will see students in multiple areas in the room working in pairs, small groups, one or two students in a corner of the room, or a student working one-on-one with the teacher. Some students are sharing information virtually. You may even notice a group where one student is leading a brainstorming session with their peers using collaborative tools. The noise level changes and is beginning to sound more like a coffee shop with “controlled chaos.” You are now hearing an exciting buzz of voices from around the room. Students have identified an authentic, real-world problem or challenge that they want to tackle. You may see students in the hallways or other areas in or outside of the school with an excitement about information or resources they discovered that could solve the problem. They are brainstorming ideas and generating solutions. Students are using technology effectively to make connections and build a network of peers. They are showcasing evidence of mastery demonstrating how they tackled the problem. They may even create a call to action in an exhibition, on a website, for their peers. This is where students are starting to advocate for themselves and are developing self-regulation skills. This is also where you see students protesting about crucial local and national issues like gun control and school safety. You will see more students at this level participating in global projects like the UN Sustaining Development Goals. This is where students take on a leadership role around their passions, interests, or what they want to do to make a difference. They believe in the cause to the point that it drives everything they are doing now. They self-direct their learning and take responsibility for the outcomes. The teacher takes on the role of advisor, providing feedback and any support needed in finding connections and resources to meet goals around what each learner believes is their purpose for learning. They take on their purpose to make a difference and change the status quo. This is where students are advocating for others and what they believe in and have autonomy and agency. You may see students running for office, for school boards, for planning commissions, or running political campaigns. Their voice not only matters, in their leadership role they make sure their voice is heard. There are so many aspects of “school” where students have not been given the opportunity to be active participants in their learning. Some students, especially those that are concerned about extrinsic factors like grades, may not feel comfortable expressing their own opinions. In all the levels, they may or not be using technology. Providing opportunities for student voice encourages them to actively participate in learning, to own and drive their learning, and eventually to discover their purpose for learning. Thank You to Sylvia Duckworth @sylviaduckworth (http://sylviaduckworth.com) for designing the graphics for the Spectrum of Voice. I welcome you to use and share the Spectrum of Voice. If you have questions, you can contact me at barbara.bray@gmail.com. 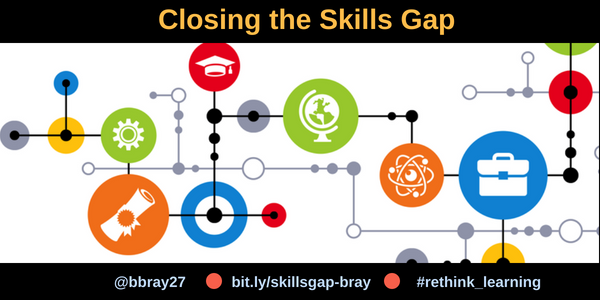 Bray, B. UDL and the Why of Learning. Rethinking Learning. October 23, 2017. Why Spectrum with new content and graphics and not use Continuum? *The original Continuum of Voice created by Kathleen McClaskey and me appears in our book, How to Personalize Learning. I have been creating derivatives with over 40% changes to the content and graphics with several of the continuums mentioned in the book. I am basing the changes on new research I am finding, the feedback I am getting from educators, and the new direction I am going. In particular, for the concept of voice, I believe that in the continuums the focus on the environment was what impacted where learners were in the continuum (i.e. teacher-centered or learner-centered). I now have discovered that an activity, the environment in or out of school, the relationship students have with a teacher or mentor, and their mindset about learning could impact how they use or not use their voice. For example, let’s take one student who has a passion to change the status quo and is advocating about gun control. They may even be leading a protest about the issue. That same student may not be doing that well in their math class, does not have a good relationship with their teacher, and tends to be compliant or just working toward a grade. Does this mean they are in the Expression level or Leadership level or both? The idea of saying that one student or teacher was in a specific level concerned educators I talked to. Some teachers may not be that comfortable teaching in a learner-centered environment all the time. But if teachers understand that a student can be affected by a situation or the relationship they have or do not have with different teachers, or extrinsic factors like grades, then they can look at the Spectrum of Voice to understand the whole child. Think about that and then let’s discuss more situations with different students. When do you feel like you have a voice in the direction of your learning? Have you ever been in a situation where you did not have a voice about what and how you learn? How did that feel? Were you able to change that situation? How did you do that? Do you know students who are at the Expression level and tend to be compliant? What could you do to empower those students to take more ownership of their learning? How can you encourage them to have a voice in what and how they learn? Do you have examples of students who found their voice and self-advocate for what they believe? Do you know any students that could be compliant in one class and in the partnership level in another? Any other questions you would like to share about voice? Rose Colby is the author of Competency-Based Education: A New Architecture for K-12 Schooling and co-author of Off the Clock. She is a Competency-Based Learning and Assessment specialist and serves as a national advisor and contributor to CompetencyWorks.org. Rose is a Fellow at 2Revolutions where she coaches schools and districts nationally in developing prototypes for the future of learning in competency education. 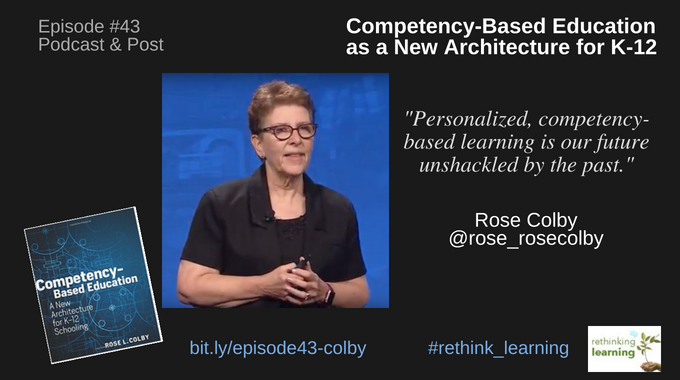 I’m fortunate to have known Rose for many years and have been following her work with competency-based education. I’m also lucky to have presented with Rose at iNACOL last October and will be presenting again at the next iNACOL Symposium in Nashville, TN. Below are a few excerpts from her podcast. The Colby family has been in transition. We have two daughters who live in New York City. We also have three grandchildren. I have lived in New Hampshire all my life, but we wanted to be closer to our kids so last year we made a move to Connecticut on the New York border so we get to see our family on a regular basis. I didn’t come through the regular pathway for teacher preparation. I was a high school biology and chemistry teacher and came from industry. When I was teaching, I was not aware I was doing some innovative things in my classroom. I was just teaching in the way I thought science should be taught at the high school level. I had more of a project-based learning orientation to my teaching. I went from teaching at the high school level to the science department head to assistant principal at our high school. Then I became the associate principal at the middle school where I became principal at Mountain View Middle School for seventeen years. I am proud to say that we were a school of excellence twice while I was principal. In 2002, I became involved with a Bill and Melinda Gates Foundation project where I was able to work with superintendents and principals across the state working on student-centered learning projects. I became a Competency-Based Learning and Assessment specialist and a national advisor and contributor to CompetencyWorks.org. In the briefs from CompetencyWorks, the move is now going to personalized learning and competency-based education. I worked with many schools and districts that wanted to go on “shopping tours” to see what competency-based education looked like. From doing this work, competency-based education looks different based on the infrastructure. This is not a one-size fit all model. We are in the beginning stages of this work and needed some kind of frame to work from. We are not assessing the standards; we are assessing the performance. This means we cannot use traditional grading which is very subjective. We as an industry need to create validity and reliability in the framing of the evidence we are expecting from students’ performance as they move through K to 12. In the end, I always sum it up with a visual. Think about the kid walking across the stage to get that handshake for graduation. We have prepared that student for this special date in their lives. In the competency-world in other professions, students do not get that handshake until they demonstrate with performance criteria that they are ready for the next phase of their lives. Competency-based education is not time-based. 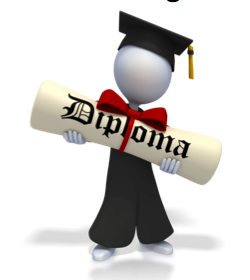 You get that diploma when you have the evidence that demonstrates you have met all the academics and the personal success skills you need for your future. In a true competency-based system, we are looking at both of these, not just the academics. The traditional university pathway is not working for most students. Graduation rates are pretty low for students to be able to graduate in 4 years. In fact, the graduation rate in New Hampshire is 40% and that is high compared to other states. Most universities are going to be moving toward a competency-based model to stay solvent. Southern New Hampshire University offers 120 competencies for their associate’s degree. Those competencies can be done on your own time and at a cost of $5,000. Students can demonstrate that they meet the competencies even from life experience, projects that they are doing, seminars, and courses they are taking. All of those things together lead to the evidence they need for graduation. A good number of colleges have been threatened with closing because the traditional model was not working. They are now looking at a competency-based approach. 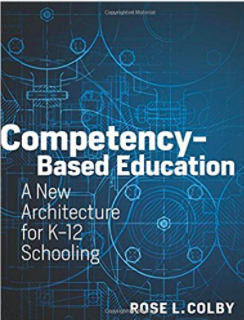 Rose Colby is the author of Competency-Based Education: A New Architecture for K-12 Schooling (Harvard Education Press) and co-author of Off the Clock: Moving Education from Time to Competency (Corwin 2012). She is a Competency-Based Learning and Assessment specialist and serves as a national advisor and contributor to CompetencyWorks.org. Rose is a Fellow at 2Revolutions where she coaches schools and districts nationally in developing prototypes for the future of learning in competency education. Rose has been the Principal in Residence of the New England League of Middle Schools; Principal in Residence, NH School Administrators Leading with Technology Bill and Melinda Gates Foundation and a former secondary school principal and high school Biology and Chemistry teacher. She has presented at national conferences and forums on competency-based learning and digital learning. For the past 10 years, Rose has had the honor of working with many teachers and school leaders across the nation to develop and design a new learning system. 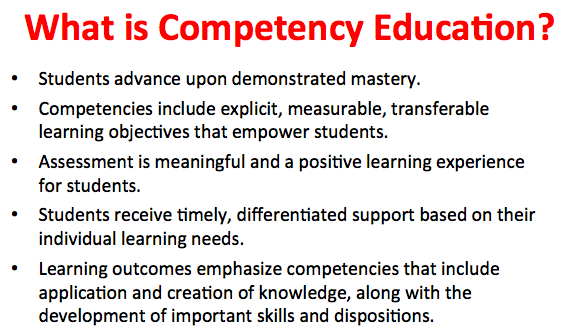 Competency education requires a clear vision, bold leadership, and educators who are active learners. Why is Change so Complex? 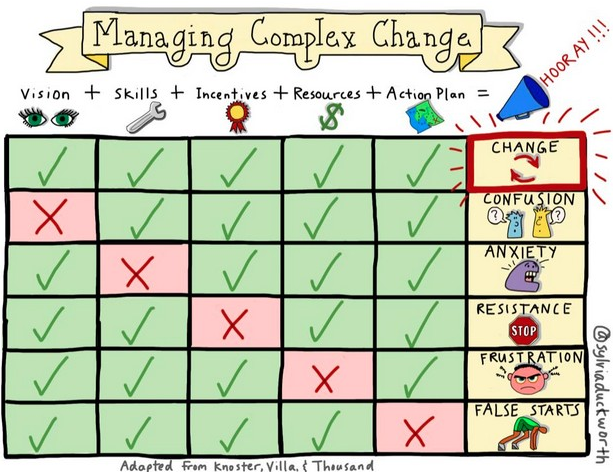 This visual from Sylvia Duckworth @sylviaduckworth makes it easy to interpret and evaluate the change process. * These images visualize the reactions people have during the change process. If the leadership team and others working on transforming their system review this process, they can monitor and consider what needs to be done to get a derailed changed strategy back on track. Changing or transforming any system especially in education is not an easy thing to do. If you are part of a system that most of us grew up in and are used to, it doesn’t take much to keep your school or district from moving to any new system or changing much at all. The change process is so complex that even if you agree and are working on transforming the system, there may be one piece of the puzzle that is missing that keeps change from happening. I took each of these elements apart to go a little deeper in the change process. What if your vision is only your vision and others don’t believe in it? If all stakeholders are not on board or don’t understand what this change means for them, then there is confusion and, possibly, resistance. The idea around student-centered learning IS confusing because multiple organizations and groups have different definitions of what personalization means. What if we think of learning first? Our focus for so long has been on teaching, curriculum, assessment, that we forgot why and who we do this for. We need to teach kids, not subjects. It is about each student, teacher or any learner, how they learn best, and providing a learning environment that supports their learning goals. For change to happen, there needs to be a vision with a shared belief system that focuses around each learner. We have to remember that teachers are learners too. Teachers are overwhelmed so we need to step back and see how they can have a voice in the vision for change. It is much easier for people to continue with the status quo which some refer to as “what we do here.” Change requires people to move out of their comfort zone and try something new. Because of all the mandates, standards, tests, etc., teachers keep getting more on their plate. So some teachers push back when they hear they need to do something on top of all the other things they are doing. Or they may not feel they have the skills needed to change. This can cause anxiety and fear of this change. People may be concerned that they will be the ones responsible and accountable for what happens after they change. This is where teachers need time, training, and ongoing support so they have the skills to make this change. There has to be an incentive to change. That means that teachers need to see the value of changing how they teach and what’s in it for them. If there are no reasons or incentives, they are bound to be resistant to any change especially if it is just adding more to their plate. Incentives also involve how you build consensus around the vision. I mentioned time under skills. Time is a big one for teachers. They have so much on their plate now but to make any changes, they need the ability to take some risks and not be punished if something they try doesn’t work. It might mean replacing what they do now with a new approach to teaching and learning. Support is another incentive. Look at asking teachers that have changed to mentor others or model what they do so teachers feel supported along the way as they change. The idea of changing a system can get everyone excited to move it forward or just the opposite: complete resistance. Resources are the necessary things that people feel they will need to carry out the change needed to personalize learning. These resources could be physical resources like technology or funding and emotional resources like coaching and time. Without these resources, teachers and students become frustrated and have a feeling of hopelessness. They can develop a fixed mindset that change will not work for them. The change cannot happen without these resources so some teachers believe “why even attempt to make this change?” Be willing to research existing resources and identify new resources that will be needed to support the change you want to happen. Without a clear action plan, people will experience false starts – a sense of being on a treadmill, and not really being able to get any traction or going any where. This is when you invite all stakeholders to include their voice so they have a feeling of ownership. Ask for their input and feedback. All of us are learners and to create and sustain a system that is learner-centered, you need measurable and achievable goals to meet the action plan. 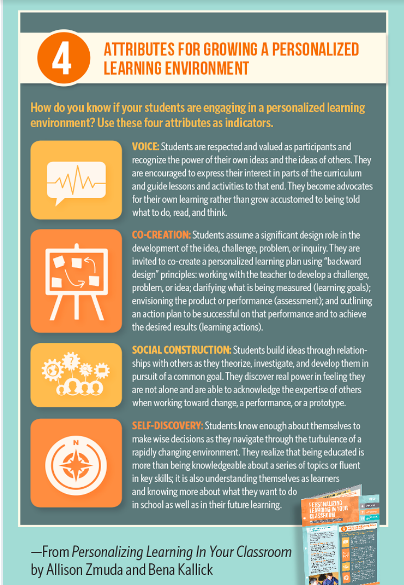 Note: I first posted this article on Personalize Learning, LLC in April, 2015 with input from Kathleen McClaskey around personalized learning. I needed to rewrite and update this post on Rethinking Learning so I could elaborate about changing any system and what that means for teachers and learners of any age. We talk about having access to content from anywhere using our mobile devices, but we didn’t think about what that meant to us. We thought it meant access to content anytime from anywhere. What it seems is that it also means we are available anytime someone wants us. It doesn’t mean we have to be available. Let me clarify why I’m writing this. I have to turn my cell and other phones off at night because now I’m on several lists that I cannot get off. I get calls on all my phones from a “Name Unavailable” from different numbers from around the world wanting me to sign up to different promotions all day and all night long I don’t answer “Name Unavailable” yet they don’t leave a message. So I gave up one night at 3am and answered it. It was someone promoting Google Ads. I asked to be taken off the list. 30 minutes later I got another call from a different “Name Unavailable” number for the same type of promotion. There is no way to be taken off this list because these are individual freelancers trying to make money. They could be anywhere in the world. So back to Google or Yahoo or other “FREE” programs that call you in the middle of the night wanting you to sign up for something. I started reviewing what I signed up for and realized several years ago I signed up for Google Adsense. Then I thought maybe I could try Google Checkout for my store. So that’s how I got on a list. I do not use either one. I get it. I also tried promoting my company on Facebook. That’s another list. I’m using Safeway’s Just for You. Another list. Every time I signed up for something “Free” I was put on another list. So to get off a list, you have to remember what lists you signed up for and unsubscribe. Mmmmmmmm! I don’t think that is possible today. You don’t know who has your number. I heard we have over 150,000 data points associated with us. That is, I joined Facebook and added friends. If any of those friends sign up for Words with Friends, I’m a data point now. That means that Words with Friends used an algorithm to find me and promote their game to me. The same thing happens when you sign up for a credit card, make a purchase with debit card, or join a “Free” website that is connected to social media. So back to being available anytime. The idea of 24/7/365 is that you have access to resources and your network anytime when you log on using your computer or your smart mobile device. This gives a whole new meaning to “smart” and how you use it. Today’s kids have been brought up with the Internet and mobile devices. They only know anytime, anywhere. I see kids texting while they are sitting next to their friends. For all I know, they are texting each other instead of talking. The world is different. The world is smaller. Friends mean so much to them that if they get a text, they answer right away. We had to make a law “No Texting While Driving” because it is rampant and causing accidents. I think we need to teach another new skill: boundaries. When do you say today in this moment I do not need to answer the call or read the text. It is all about priorities and respect. I had to learn this when I created My eCoach. I wanted to be there all the time as a coach. But a coach also does not need to enable the other person. The idea of coaching is to nudge and support the other person so they can find their own way. I still like the idea of having a place like My eCoach that respects your privacy. We don’t sell any data or advertise or call you in the middle of the night. We do have clients from around the world who are up when I’m asleep but that’s okay. They can access My eCoach anytime, anywhere. I finally got it that my time is important. I can be available when I have time. Not when I’m driving. Not when I’m sleeping. So if I don’t answer you in the middle of the night, it’s not that I don’t like you or something; it’s because I need to sleep. When you do a search for “What Employers Want” you do not see high test scores anywhere on any job descriptions. 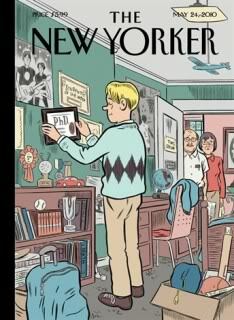 We are training our kids for the types of jobs that are not there anymore. If you look at the world now, everything is changing: business, government, banking, and education. We are in a transitional period with many of us kicking and screaming afraid to go where we have to go. The world is going to change if we like it or not. Kelly Services listed the same skills. Everywhere I looked the same skills. Results – they are less concerned with your past experience and responsibilities. What did you accomplish? Figures and numbers – did you increase revenue at your last job? did you underpromise and overdeliver even if you worked at a non-profit or volunteered? Awards and accolades – share if you have received any awards or been recognized for excellence. Blog or website – this shows you have good communication skills, but make sure your website looks professional. Staying Power – be careful of changing jobs that don’t last two years or less. Up-to-date skills and education – be on top of all the latest technology and innovations in your field. Ideas and initiative – Be ready to hit the ground running and solve problems without waiting for someone to tell you what to do. Attitude – be enthusiastic, flexible, and postitive. Leadership skills – be willing to take on more responsibility to improve a product or process. Growth potential – go beyond the job description. 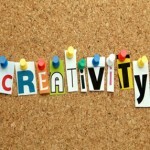 Creativity – ability to think outside the box and solve problems. Hobbies – be passionate about something outside of work. I’m still looking. If universities base their admissions on high test scores, then maybe we need to rethink higher ed. Uh oh! I’m touching on something here that could get very messy. How do you teach creativity and passion? Found an article on Ambition: The Fire in the Belly Employers Want by Jane Genova. I see that ambition similar to finding someone’s passion. When you are passionate about something, you fight for it. There are no punching time clocks. I’ve watched game designers work way into the night so excited about this or that. Maybe there is that passion about finding a cure for a terrible disease or a new type of transportation that is economical and safe for the environment. Maybe we need this type of passion to come up with strategies to fix our economy or climate change. I’m putting this out there to you — teachers, parents, professors, administrators, students. Maybe our whole system needs shaking up. Are we teaching these skills and values? The ability to act independently and solve problems on their own. Strong interpersonal written, oral, and social skills to collaborate with colleagues. Strong global literacy to understand people around the world. The ability to acquire the information they need to do the job. The ability to learn new skills as corporations change strategies to stay competitive. So what does school like if we teach these skills and values and teach our students to learn how to learn? What if oil prices rise? They will. It’s inevitable. Then food prices. Yes, they will rise too especially if more countries have government turnovers and the people of the country revolt. It is now happening in Algeria. What about developed countries like the United States, the UK, Australia, and Europe. If the unemployment rate does not go down in the US to 8%, the US is going to make some changes maybe not to where we need to go. Also are the numbers correct? What about the 99ers who have been unemployed for over 13 months? We have educated people who have been looking for work for months. Work has changed. Businesses are running slimmer and cutting costs because of the uncertain economy and less cash flow. So things have to change all over. If people 15-29 are educated, use social media, then maybe we need to teach them how to use social media to create businesses and entrepreneurial skills. For those in under-developed countries, this will be a very big challenge. How to create enough jobs or businesses for 100 million people? Oh my!! There just are not enough jobs for everyone. 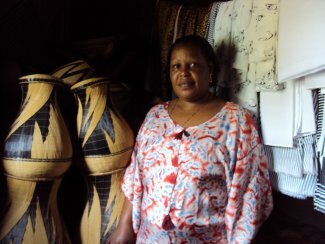 When I look at organizations like Kiva that provide small loans for people around the world who want to start their own businesses, I see hope. Everyone of us has a dream somewhere down deep. We were born as unique individuals who have interests and passions. If we continue to teach the same way we have for hundreds of years, we will continue to get the same products. People looking for work that is not there. It is time to review all this emphasis on testing and standards and question “are we preparing our children for their future?” Our competition is not the school next door. It is China and India. Our children are part of the global marketplace. As long as they believe school as we know it today may prepare them for their future, they are caught in a system that could lead them down a road of failure. Some jobs are definitely needed: doctors, lawyers, engineers. But even if you become a teacher, it does not mean you will be assured there will be a job for you where you want to work. How about teaching how to do projects, create projects, and market your projects? People who have critical thinking skills and are creative how they find solutions will get projects. Jobs where you received benefits and a pension may not be the same anymore. Just having a job now does not give anyone security anymore. We are in a revolution. Education is the key but what it looks like today is not what we need for the world’s economy. It is not all about jobs anymore. It is about how we are preparing people for their own survival and how it benefits society or the people in your area. If we start children very young asking questions and being curious about the world, they will come up with solutions. Why not create a project about the climate, the creeks in your area, housing market, or another major issue that impacts your community? Except ask the students to create the project, ask the questions, and own the process. Any project can match standards. Students own the learning when it is relevant and real to them.